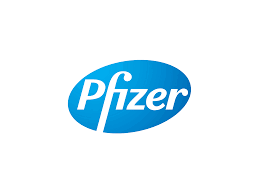 Pfizer Inc. (NYSE: PFE) announced today that the United States Food and Drug Administration (FDA) has approved LYRICA® CR (pregabalin) extended-release tablets CV as once-daily therapy for the management of neuropathic pain associated with diabetic peripheral neuropathy (pDPN) and the management of postherpetic neuralgia (PHN). LYRICA CR did not receive approval for the management of fibromyalgia. The efficacy and safety of LYRICA CR in PHN was established in a randomized placebo-controlled clinical trial conducted in a total of 801 patients with PHN who entered single-blind treatment with LYRICA CR. As both pDPN and PHN are peripheral neuropathic pain conditions, the PHN data was supportive of both the pDPN and PHN indications. The randomized trial included a six-week single-blind, dose optimization phase followed by a 13-week double-blind phase. In the PHN study, 73.6 percent of patients in the LYRICA CR group achieved at least 50 percent improvement in pain intensity compared with 54.6 percent in the placebo group. The most common adverse reactions reported with LYRICA CR were dizziness, somnolence, headache, fatigue, peripheral edema, nausea, blurred vision, dry mouth and weight gain. Prescription LYRICA CR is not for everyone. Patients should tell their doctor right away about any serious allergic reaction that causes swelling of the face, mouth, lips, gums, tongue, throat, or neck or any trouble breathing, rash, hives, blisters or skin redness. LYRICA CR may cause suicidal thoughts or actions in a very small number of people. Patients, family members or caregivers should call the doctor right away if they notice suicidal thoughts or actions, thoughts of self harm, or any unusual changes in mood or behavior. These changes may include new or worsening depression, anxiety, restlessness, trouble sleeping, panic attacks, anger, irritability, agitation, aggression, dangerous impulses or violence, or extreme increases in activity or talking. If patients have suicidal thoughts or actions, they should not stop LYRICA CR without first talking to their doctor. LYRICA CR may cause swelling of the hands, legs and feet. Some of the most common side effects of LYRICA CR are dizziness and sleepiness. Patients should not drive or work with machines until they know how LYRICA CR affects them. Other common side effects are tiredness, headache, nausea, blurry vision, weight gain, and dry mouth. Also, patients should tell their doctor right away about muscle pain along with feeling sick and feverish, or any changes in eyesight including blurry vision or any skin sores in patients with diabetes. There may be a higher chance of swelling, hives or gaining weight in patients also taking certain diabetes or high blood pressure medicines. Patients should not drink alcohol while taking LYRICA CR. Patients may have more dizziness and sleepiness if taking LYRICA CR with alcohol, narcotic pain medicines, or medicines for anxiety. Patients who have had a drug or alcohol problem may be more likely to misuse LYRICA CR. Patients should tell their doctor if planning to father a child, if pregnant, or planning to become pregnant. Breastfeeding is not recommended while taking LYRICA CR. Patients should talk with their doctor before they stop taking LYRICA CR or any other prescription medication. DISCLOSURE NOTICE: The information contained in this release is as of October 12, 2017. Pfizer assumes no obligation to update forward-looking statements contained in this release as the result of new information or future events or developments. This release contains forward-looking information about LYRICA CR, including its potential benefits, that involves substantial risks and uncertainties that could cause actual results to differ materially from those expressed or implied by such statements. Risks and uncertainties include, among other things, uncertainties regarding the commercial success of LYRICA CR; the uncertainties inherent in research and development, including, without limitation, the ability to meet anticipated regulatory submission dates, as well as the possibility of unfavorable clinical trial results, including unfavorable new clinical data and additional analyses of existing clinical data; whether and when any applications for LYRICA CR may be filed with regulatory authorities in any other jurisdictions; whether and when regulatory authorities in any such other jurisdictions may approve any such applications that may be pending or filed for LYRICA CR, which will depend on the assessment by such regulatory authorities of the benefit-risk profile suggested by the totality of the efficacy and safety information submitted; decisions by regulatory authorities regarding labeling and other matters that could affect the availability or commercial potential of LYRICA CR; and competitive developments.